When we saw this project that you are about to see, that was created by one of our favourite designers it finally all came together in our minds and we found a way to characterize this talented designer. Jaime Hayón is our Santa Clause. Santa Clause is a figure beyond realistic existence who gives joy through presents, hope through our emotions and belief for those who truly open their minds into a supernatural level and believe that one day they will fly. Jaime Hayón does fly and Yatzer is a believer. Jaime Hayón creates objects and spaces that take you to far away places from another era incorporated to exist in our time, he gives joy through his work making us smile when we observe, he gives hope to young designers everywhere that our waiting to be inspired and finally belief as far as design is concerned refusing to tie it down to one mould. 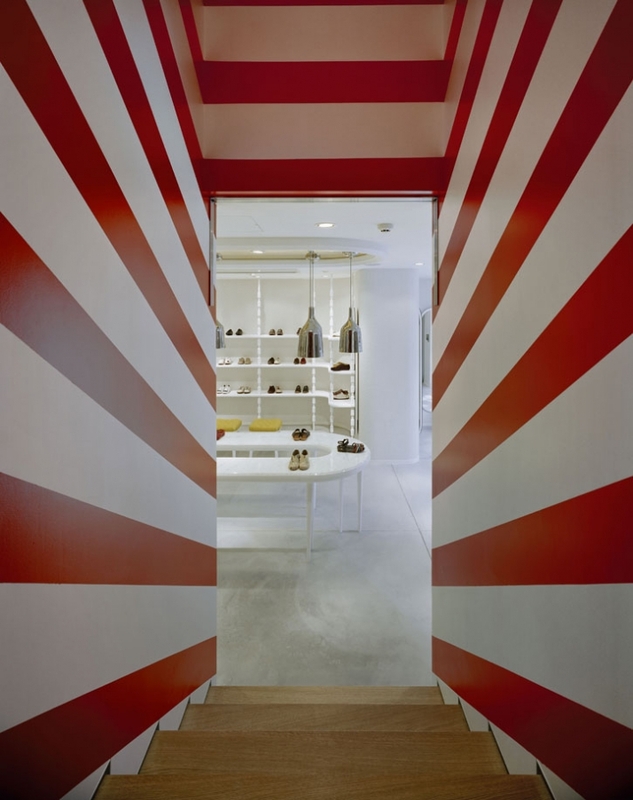 Yatzer has the priviledged honour to have outmost exclusivity to Jaime Hayón’s new project in Tokyo. Today and for the very first time these official pictures are aired on line. You have seen it here first. It is articles such as this that make Yatzer carrying on believing that one day we will actually reach the stars, catch them and bring them down to show his readers. Camper Together. 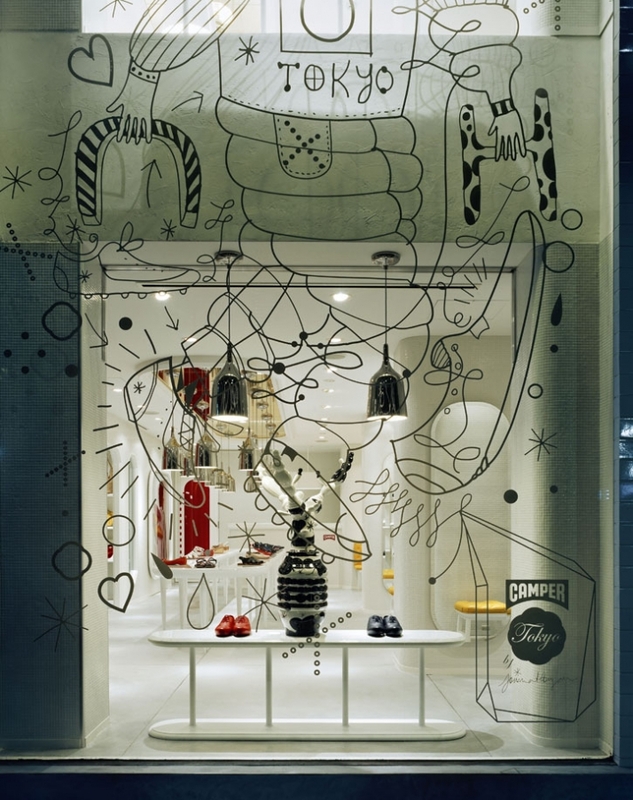 Throughout its history Camper’s personality and in particular, the unique creative that is reflected in all its stores, has always been enriched by the many contributions of designers, architects and artists. Carlos Ronaldo, Javier Mariscal, Neville Brody, Óscar Mariné, Peret or the Memphis group, among many others, apart from figures like Fernando Amat, Oleguer Armengol, Jordi Nogués, Shiro Miura or Martí Guixé, the most prolific being in the last few years, They have all contributed to these spaces individually, yet always different in approach and always special. However together, this creativity is an important component in the brand because the result of these collaborations truly transmits this brand’s values and image to the world. The Together concept had already been born in Camper but had yet to be written down. It now takes on even more strength in the new projects, like this one developed together with Michele De Lucchi and that follow the projects developed by Jaime Hayón, Alfredo Hâberli, the Campana brothers, Konstantin Grcic or the Bouroullec brothers for Camper in different cities of the world. Adding the experience of one to the wit of another, the Majorcan firm continues in the line of diversity versus the repetition that has established itself in the world of commercial interior design. 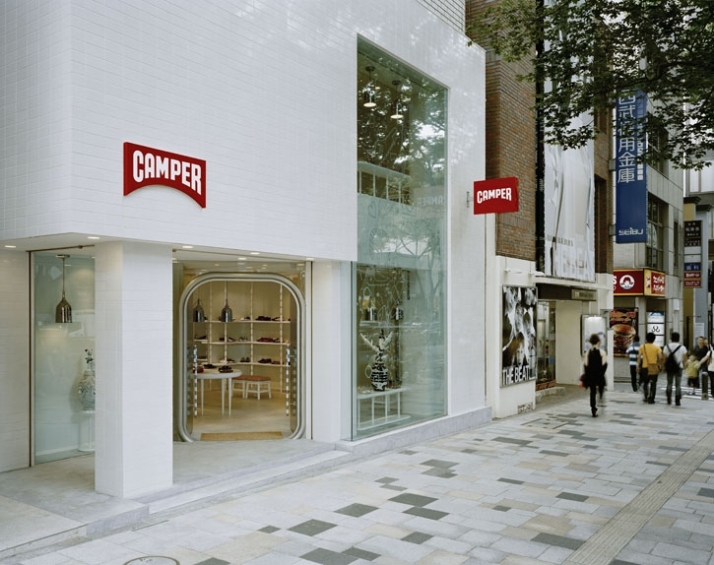 Camper continues innovating and opts for new languages that communicate the essence of a brand that is always loyal to its original spirit. We are delighted that Santa came early this year, and we hope that he does so every year and much more than once a year.